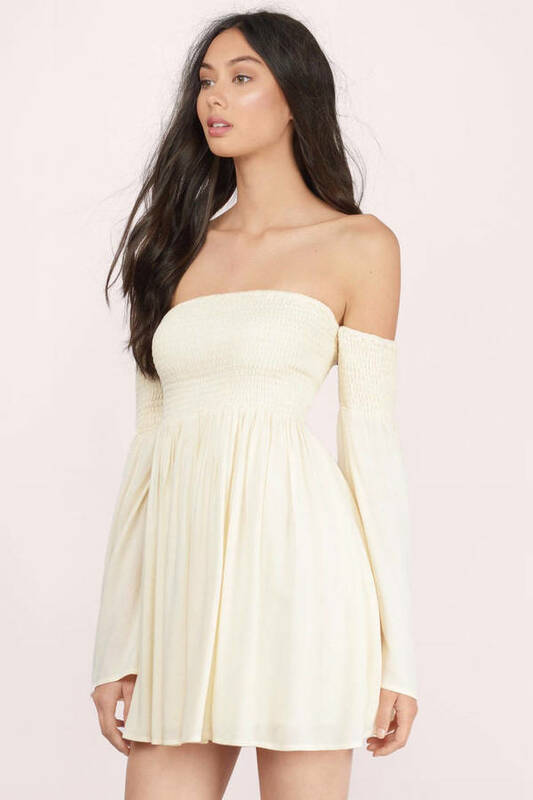 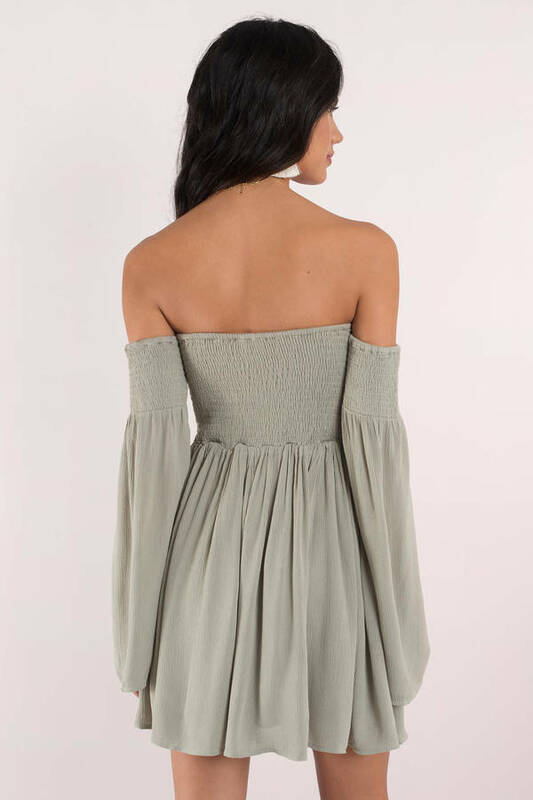 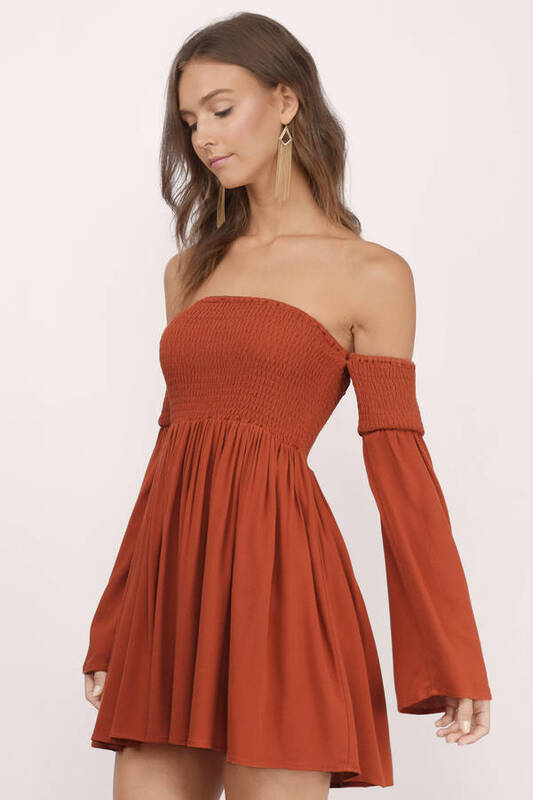 Check out Tobi's Ellie Off The Shoulder Dress Ready to get whisked away in the Ellie Off The Shoulder Dress. 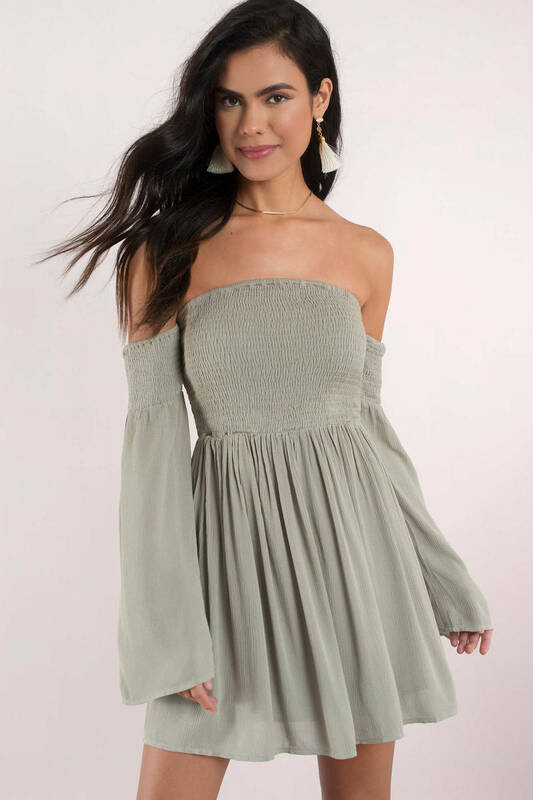 Show off sweet shoulders with a smocked upper body silhouette and playful skater skirt bottom. 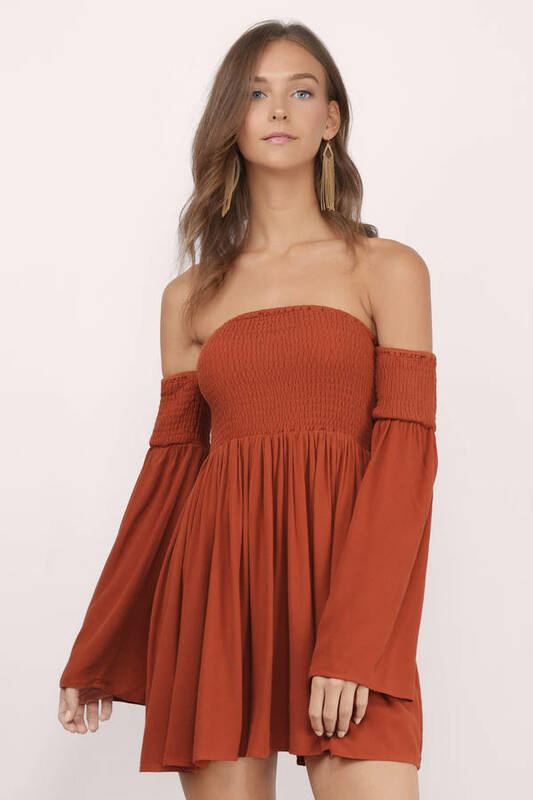 Trendy bell sleeves do the trick in making this a skater dress you secretly want to wear every day (but no one's stopping you). 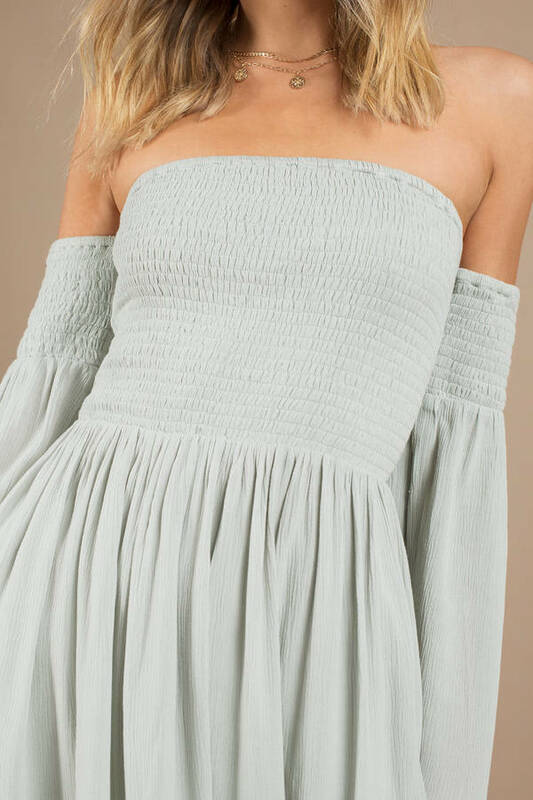 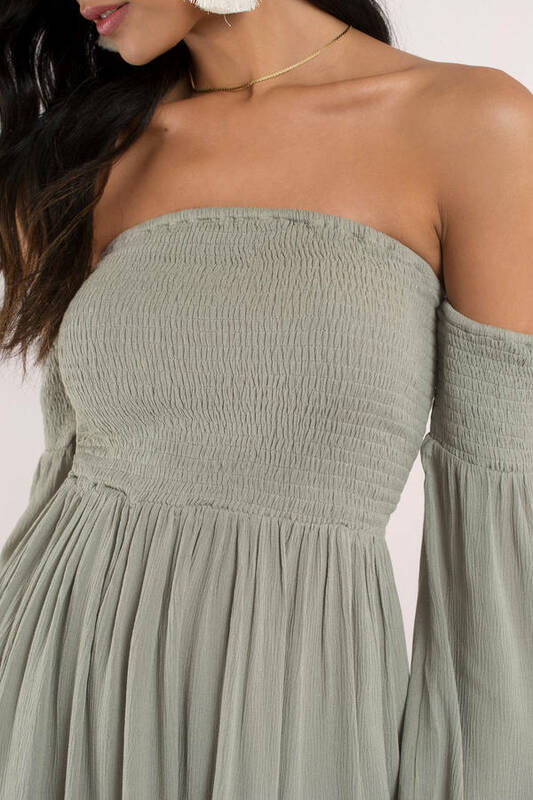 Ready to get whisked away in the Ellie Off The Shoulder Dress. 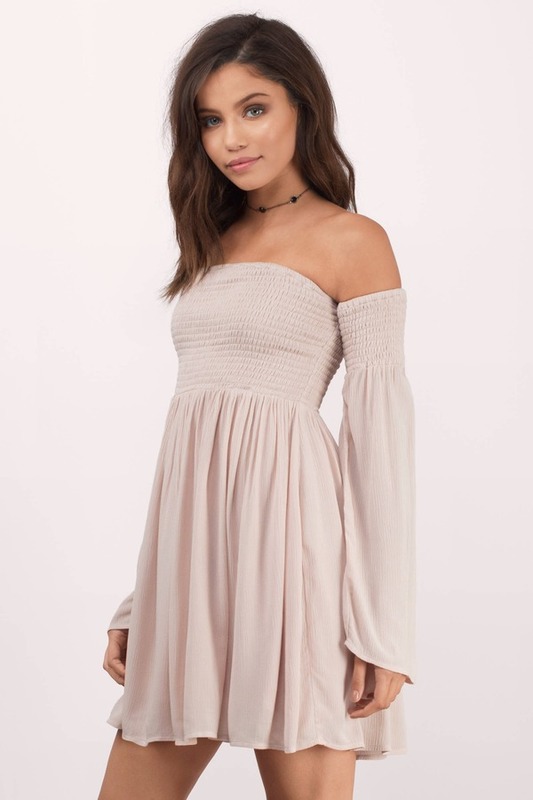 Show off sweet shoulders with a smocked upper body silhouette and playful skater skirt bottom. 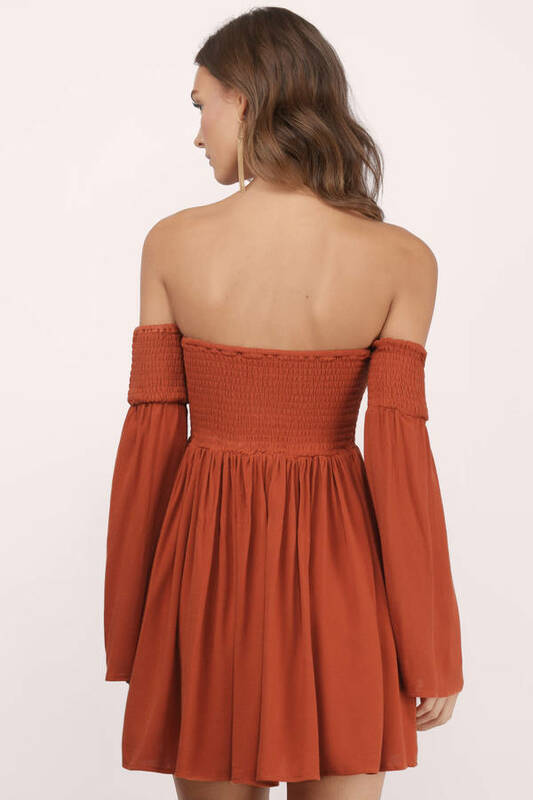 Trendy bell sleeves do the trick in making this a skater dress you secretly want to wear every day (but no one's stopping you).